Our Mean Machine product line is what we have built for over 14 years now. We use full-sized PCs in five different 2/4 player upright game configurations. Every Mean Machine comes with a minimum of 25,000 pre-loaded games! Our Extreme Machine option is for those who want to play the most games possible. 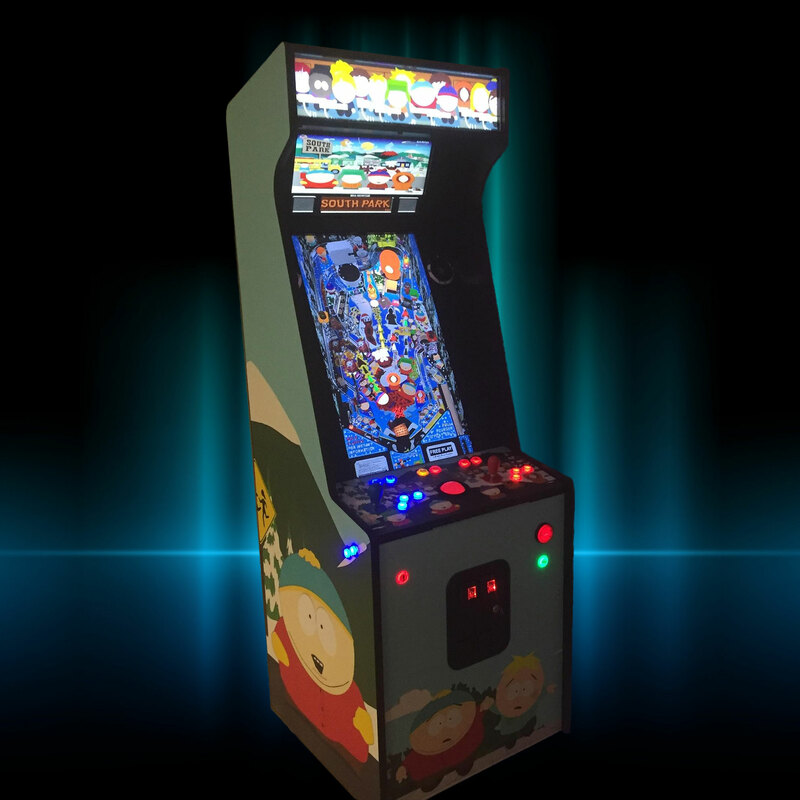 Identical to our Mean Machine 4 player games, except we add our Extreme game system. This expanded game load requires a faster PC with an added 8TB HD and dual wired Xbox 360 gamepads in order to play the newer home consoles that require them. This expanded game option increase the number of available games to 40,000! You can play about 75 arcade light gun games including Duck Hunt, Terminator 2, Area 51, hunting games, and more. 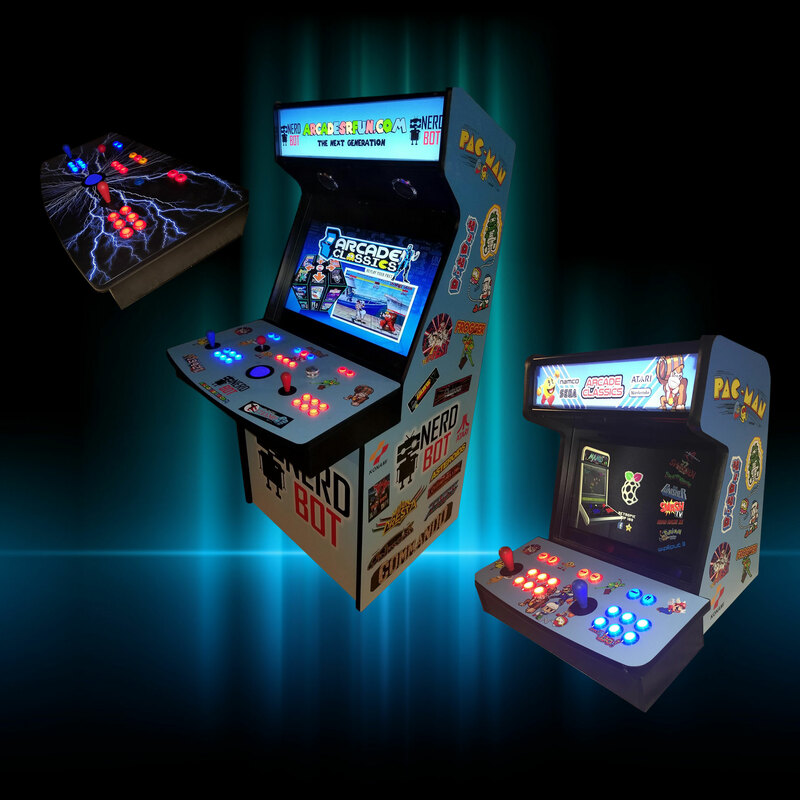 Standard LED buttons are available in red, blue, yellow, and green. RGB LED buttons can be custom colored by you with desktop software. Every RGB button is individually wired to 2 circuit boards so that their colors can be controlled individually. They are a white translucent when not turned on. Thousands of individual colors are possible. RGB LED controlled trackball lighting is included with this upgrade. 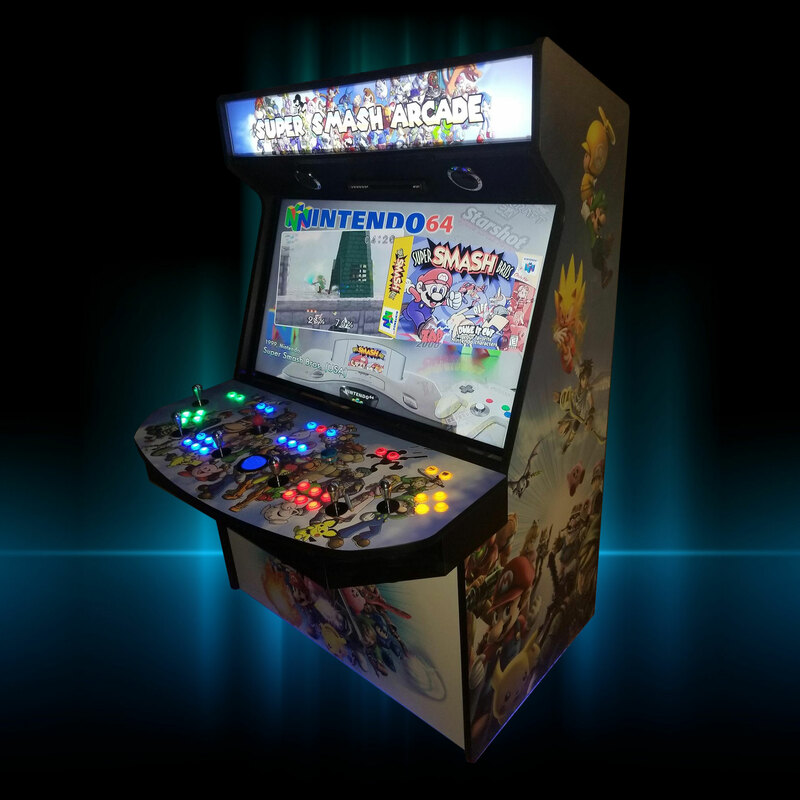 Creates a glow of LED light underneath the main game cabinet. With the included remote control, you can have it glow any single color or have different colors fade in and out fast or slow. Using the same 8 way competition joystick bases we install custom joystick shafts and top them off with the chrome finished bat shaped handles. These chrome handles will match any color. Base purchase is 4 handles. If you buy the dual joystick option then 6 handles are required. Authentic spinner control for games like Tempest and Arkanoid. Can also be used as a mini steering wheel in single player arcade racing games. For dual joystick games like Robotron, Smash TV, Crazy Climber, Karate Champ, and Total Carnage. For Tron game play (must have spinner option). Flight Stick with Trigger/Missile Buttons can also be used for arcade flying games, but you must choose between Tron or the flying games due to physical modifications made to the joystick to enable Tron game play. Topfire Stick is a less-expensive alternative for Tron game play. Add artwork to both sides of your game.